Imoga fancy yarn sweater with ribbed trim. 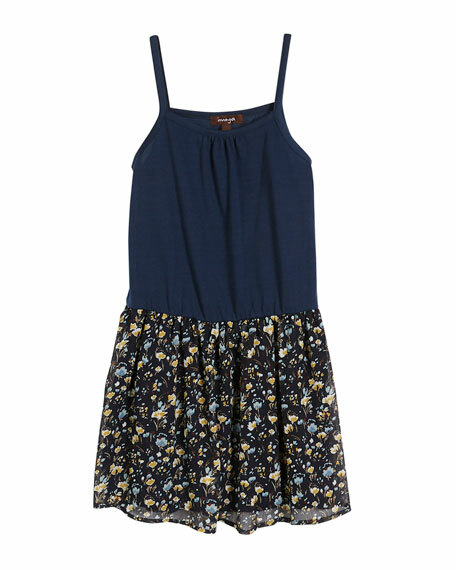 Includes chiffon dress with floral skirt. Established in 2006, Imoga's designs illustrate the playfulness of a child's whimsy. 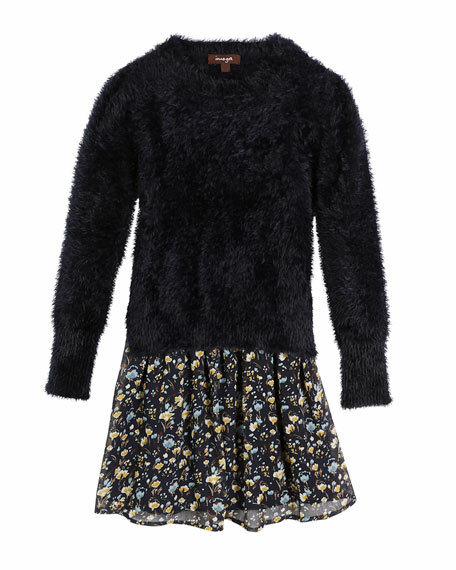 The trendy line of knits and outwear highlights kids' creativity with exotic prints and patterns. The timeless collection aims to capture the wonder of childhood while maximizing style and freedom. For in-store inquiries, use sku #2643678.